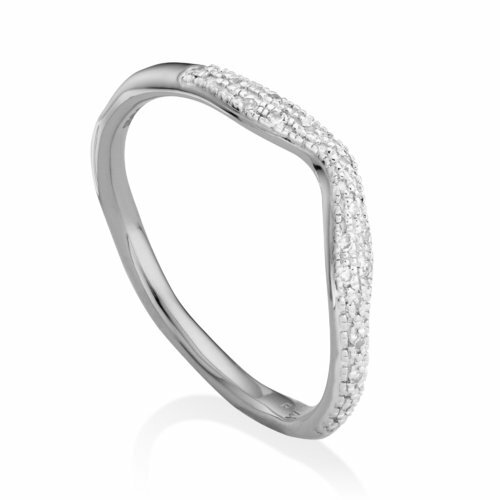 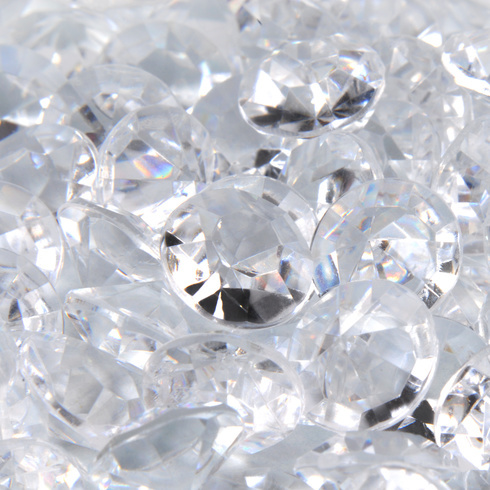 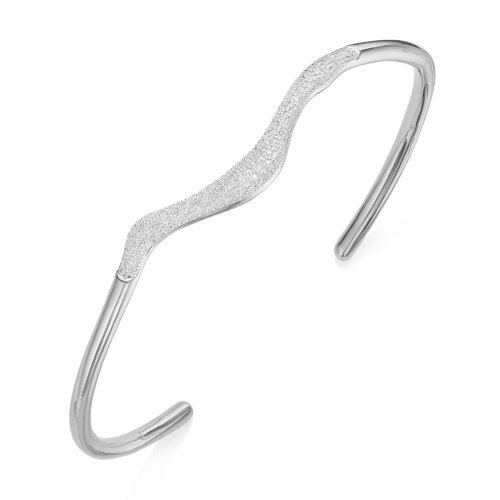 The irregular hoop shape on this ring measures approximately 16.7mm x 19.7mm and features pave set diamonds totalling 0.06 carats. 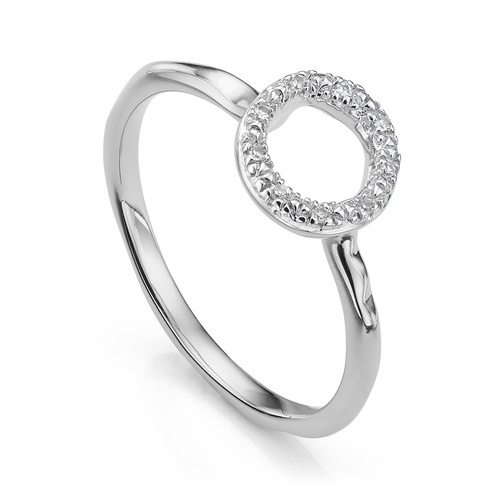 This cocktail ring is a contemporary way to wear diamonds and shines beautifully alone or paired with other jewellery from the Riva collection. 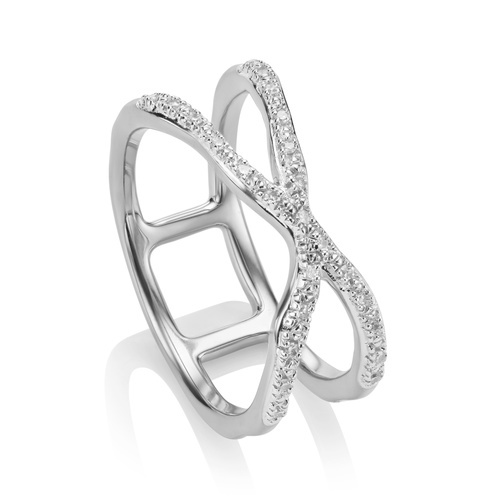 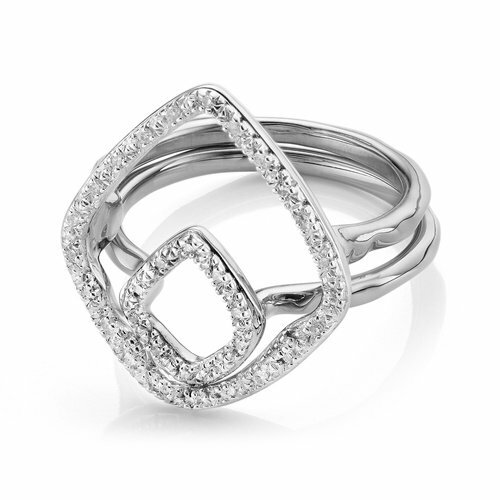 A stylish ring set with diamonds for a touch of everyday sparkle.